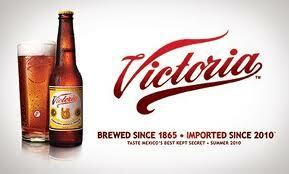 Grupo Modelo SAB, the Mexican brewer of Corona beer, is gaining share in the U.S. import market aided by its Victoria brand, which cracked the top 20 of foreign beers in its first year. Shipments of Modelo brands rose 4.4 percent in the 13 weeks ended July 3 compared with a 1.7 percent increase for all beer imports, Emilio Fullaondo, chief financial officer, said today on a conference call. Case shipments for the U.S. beer industry fell 0.9 percent, he said, citing data from SymphonyIRI Group. Even amid weak U.S. consumer spending, Victoria surpassed sales of 2 million cases within the first 12 months, Fullaondo said. Modelo, based in Mexico City, first sold the beer in Chicago in June 2010 at a price that tops Corona, the company’s flagship export, he said. Victoria ranks 20th among imports. “We are very optimistic about the potential for Victoria in the U.S. market as a super-premium import and are working on plans to further expand the distribution,” he said, speaking on an analyst call after the company reported second-quarter earnings.